Pain is one of the sequelae of acute injury and may participate in the release and maintenance of the surgical stress response. Furthermore, pain-induced reflex responses may adversely influence respiratory function, increase cardiac demands, decrease intestinal motility and initiate skeletal muscle spasm. 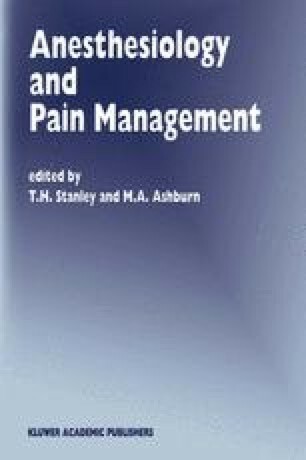 Therefore, there is a common belief that alleviation of acute pain may also reduce the surgical stress response and improve outcome.